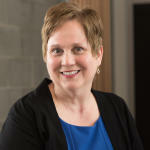 Welcome, internet foodies and bourbon lovers! 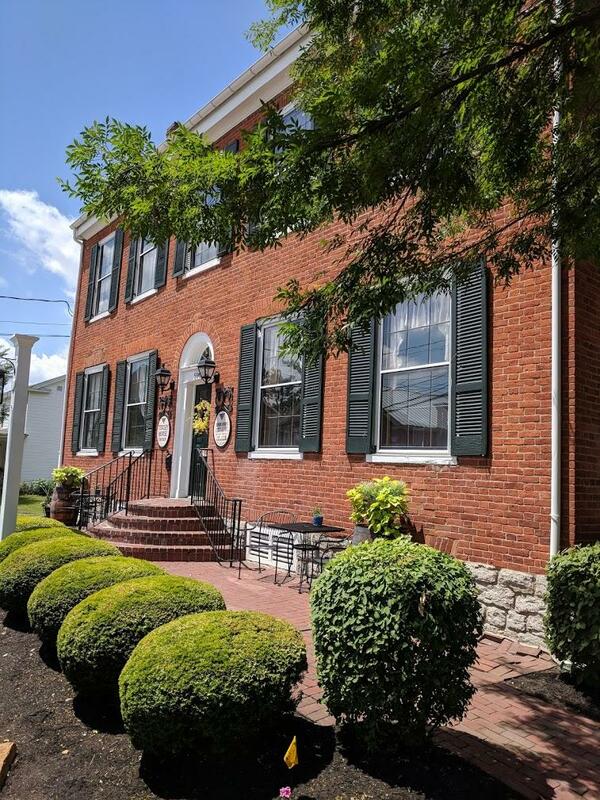 Whether you landed on this page because you want to know more about The B-Line, or are curious about one of the Cincinnati and NKY area’s hidden gems, the Tousey House Tavern, you’re in for a Kentucky treat. Kentucky is bourbon country and Northern Kentucky, at the tip-top of the state, is pouring out its own unique bourbon experience with The B-Line bourbon tour. You just pick up a copy of your B-Line Line Guide at one of the participating distilleries, restaurants or bourbon bars, or download a Line Guide here. Then visit two of the restaurants, two bourbon bars, and two distilleries, making sure to get your Line Guide stamped there, and we’ll send you some free bourbon swag. 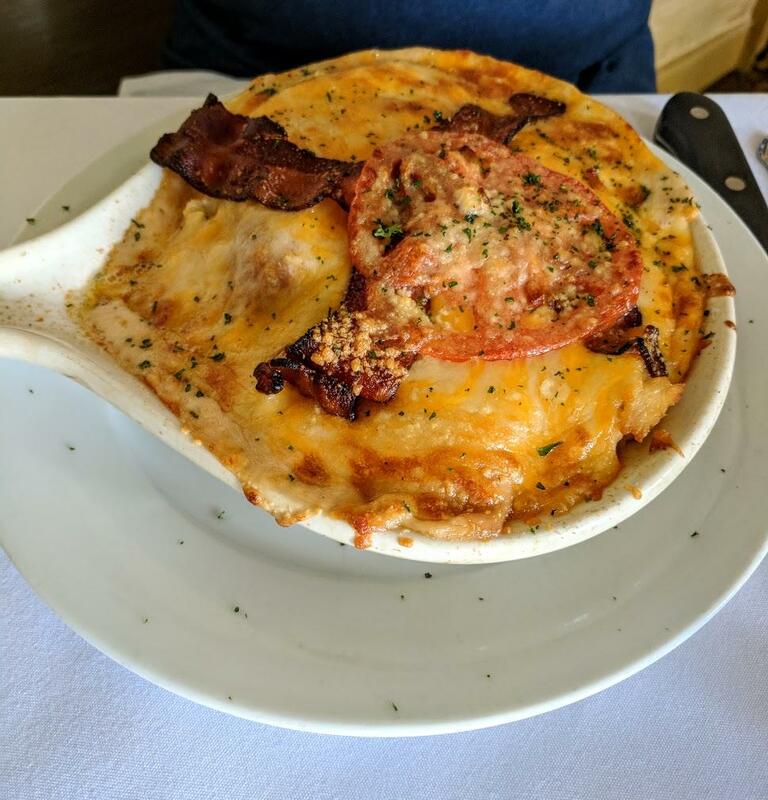 For a restaurant to qualify as a member of The B-Line, they have to maintain a well-chosen selection of at least 50 different kinds of bourbon and also offer bourbon-themed dishes on their menu. Tousey House not only offers scrumptious bourbon-flavored cuisine in addition to their extensive bourbon collection, they provide a unique Kentucky experience, only twenty minutes from downtown Cincinnati. The restaurant is housed in a lovely Federal style building that dates back to 1822. 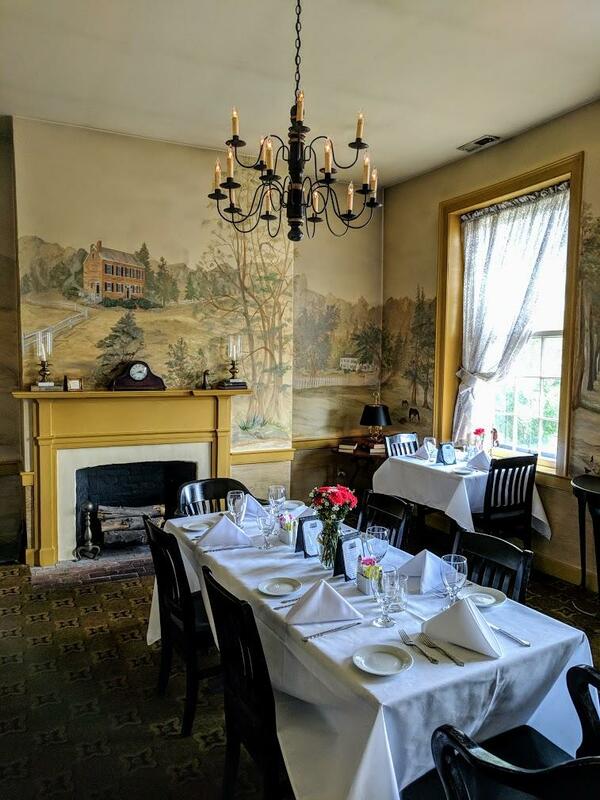 Redolent with history and southern charm, one of the pleasures of dining there is enjoying the beautiful architectural detail, as well as the interior décor. To show you just one example, one of the rooms is covered in these gorgeous murals. The food is as enjoyable as your surroundings, and rich with the traditions of southern cooks. From their famous local spin on a Kentucky favorite, the Hot Brown, where Tousey House adds a layer of country ham, to the Tousey version of Kentucky beer cheese, to their Po Boy sandwiches, to the duck breast served with a bourbon peach reduction, you are sure to find a taste of Kentucky that will leave you satisfied and happy. Also on the menu are thoughtfully chosen bourbon flights ranging from some just right for those new to bourbon tasting, to select flights of Pappy Van Winkle. 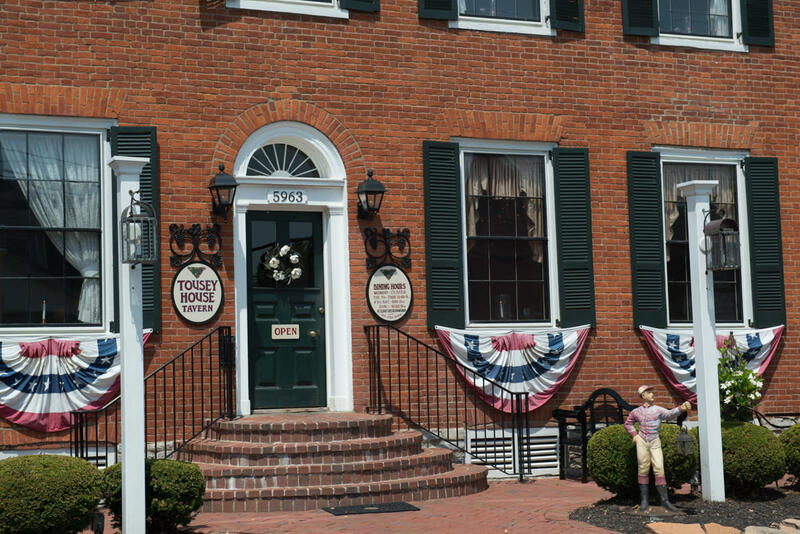 Tousey House Tavern offers a true taste of Kentucky hospitality. As they say on their website, "Escape the hustle and bustle of the city to this one-of-a-kind setting in the heart of historic Burlington, Kentucky."